Beyond the Children’s Section: Young adult novels require more than a teenage protagonist. Learn the specific characteristics of the YA market and how to weave them into your narrative, with authors Lisa Mantchev, Holly Black, Arwen Elys Dayton, Rachel Hartman, and Aaron Michael Ritchey. Reinventing Iconic Monsters: How do you take an ancient monster and make it new? Panelists Naomi Novik, Rachel Hartman, and Isaac Marion will discuss how they’ve turned time-worn tropes upside-down to create fresh and engaging stories. There will be a signing after each event at JJ 10/11, books provided by University Bookstore. I hope to see some of you there! And now I have to go lie down some more. Stupid neckbones. I love The Walking Dead. He’d played Tyreese. I felt pretty silly, but in a way it was nice because we’d had an actual conversation without me fangirling all over him. Anyway, that’s my little brush with fame for today. At least I managed not to be too embarrassing. I’ve had fans of my book worry that they said something silly in front of me — please don’t feel self-conscious about that! We all do it, and I think I was only prevented by not knowing who he was for most of the time. Sometimes it really is better to have a slow reveal. OK, I’ve been kind of bad about announcing my own events, but there’s a big one tomorrow in Toronto, and I just wanted to remind you it was happening. They’ll be selling books, and I’ll be signing them. Please do come, if you’re in town! I’d love to see you all! I’m having a lovely time on tour. This is just a reminder that I am going to be at Children’s Book World in Haverford, PA, tomorrow evening at 7pm. I used to work at this bookstore, so coming back is always a special joy for me. It really is like coming home. Later this week: Michigan! And then Toronto! See my Appearances page for details. Ahahahaha! And yet. I has all the sad. I’m afraid I’m going to have to play it straight. I never read any of his books until I moved to Canada, and even then I had several false starts. I tried reading The Colour of Magic and I didn’t get very far. It looked like a pile of undifferentiated jokes to me, and while the jokes were individually hilarious, in a heap they were rather overwhelming. It was like eating nothing but cake, all the time. Another one that I remember disliking was Maskerade, which as far as I could tell was nothing but a send-up of Phantom of the Opera. It was funny enough, for what it was, but I honestly couldn’t see what all the fuss was about. I’m not sure why I kept trying. Well, that’s not quite true. I kept trying because I had just moved to a foreign country where I knew no one outside my own household. I kept trying because I missed my friends back in Philly, and I’m pretty sure they were the ones who’d recommended Pratchett to me in the first place. I kept trying because I really, really needed a friend right then, and miraculously, I found one. Going Postal was the book that finally opened the door for me, the one that made me realize there was a human behind the mountains of jokes, a human who was preoccupied with many of the same things I was. The Tiffany Aching books followed close on its heels, as well as Thud!, and by the time I’d gotten through those I felt like I knew exactly who I was dealing with. And he was something remarkable, something I’d never quite seen before. He was using the twin fists of humour and fantasy to punch the world in the face. These were, in fact, extremely serious books about difficult and hard-hitting subjects, but he’d disguised it so cleverly that you couldn’t quite tell. I think the mask did slip a bit in his later years, and that was why I found his more recent books more accessible. I find it easier to read the early ones now that I’ve glimpsed the wellsprings beneath them; his preoccupations have been the same all along, and now that I know what to look for I see them everywhere, shining like diamonds. Nothing was out of bounds, not death, love, politics, or religion. A fantasy writer could say exactly what needed to be said and could run any thought experiment conceivable. It was a revelation, and it set me free. I used to call him, only half-jokingly, my long-lost time-travelling twin, or my spiritual uncle, because we were preoccupied with so many of the same kinds of questions. We didn’t always come to the same conclusions, but his were always humane, hilarious, and well worth considering. Thank you for everything, old friend. I’m going to miss you. 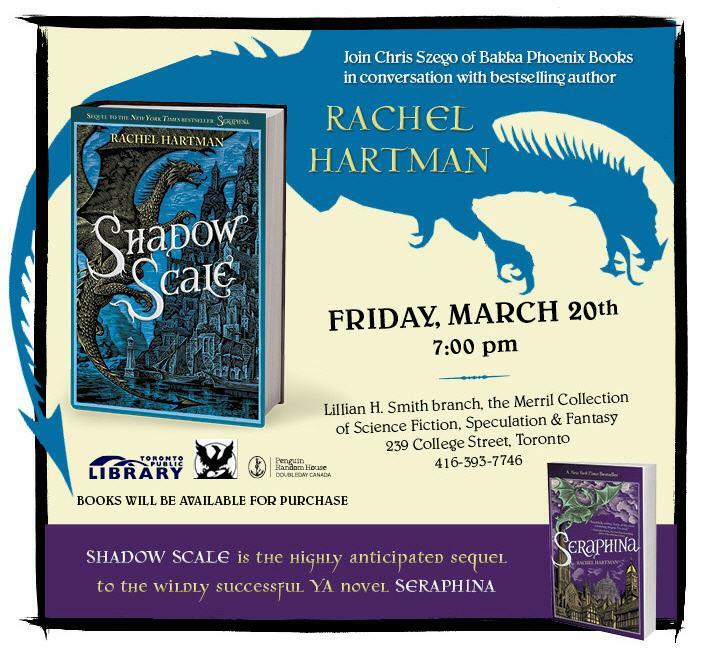 Many people e-mailed me about this today, but there may still be a few of you who haven’t seen it: In ‘Shadow,’ Change and Growth as a Story Sheds its Scales. There are bad reviews, and there are good reviews, and there are reviews that leave you feeling like somebody just opened up your chest and pointed at your heart and said, “Look at this, right here.” My slightly awed thanks to Amal El-Mohtar for the anatomy demonstration. It is both gratifying and humbling to be seen. In other news! Had a delightful time at B&N Lynnwood today. I was able to have some excellent, in-depth conversations with my readers, which is something I enjoy very much. 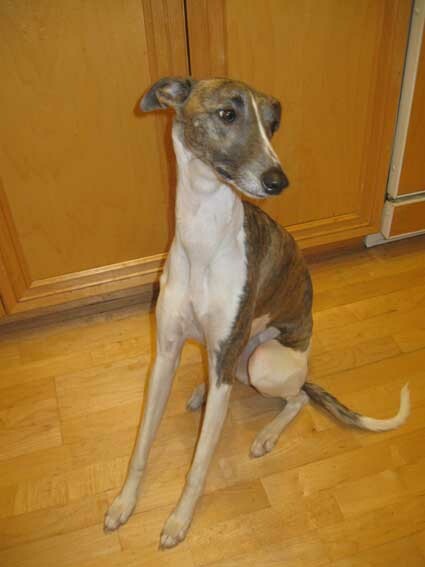 And I was told, in no uncertain terms, that I need to put more pictures of our whippet, Una, on my blog. Well. Your wish is my command.